The article is a follow up to my previous Getting to the Core of ASP.NET Core Article article which took a very low level approach to describing how ASP.NET Core works from the ground up using command line tools and working its way up from the very basics to a simple Web application. This new article takes a different approach and discusses how to build a more typical ASP.NET Core backend to an Angular front end application. 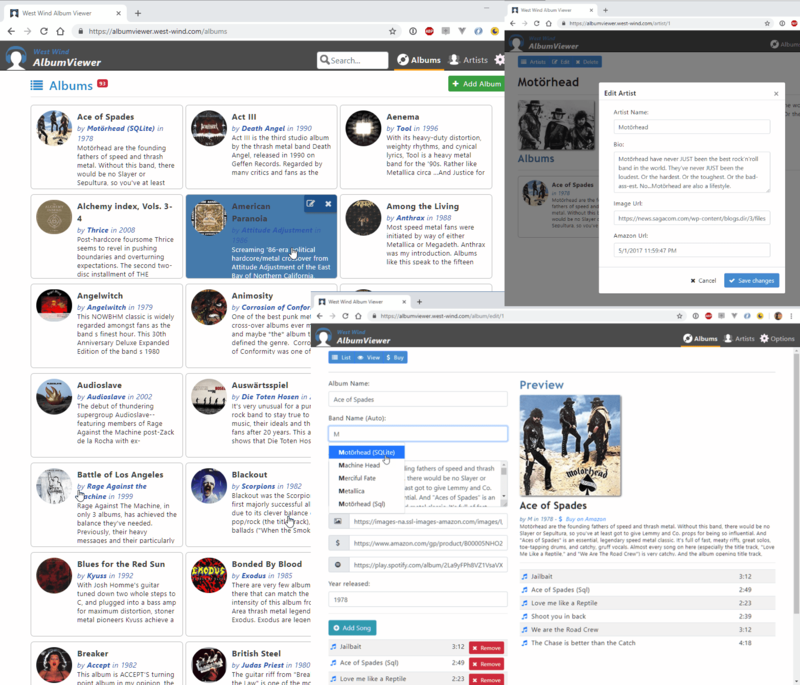 The article focuses only on the backend (I'll cover the Angular 2 front end in a later article perhaps) and building a REST based service to provide the data to the Angular 2 front end. 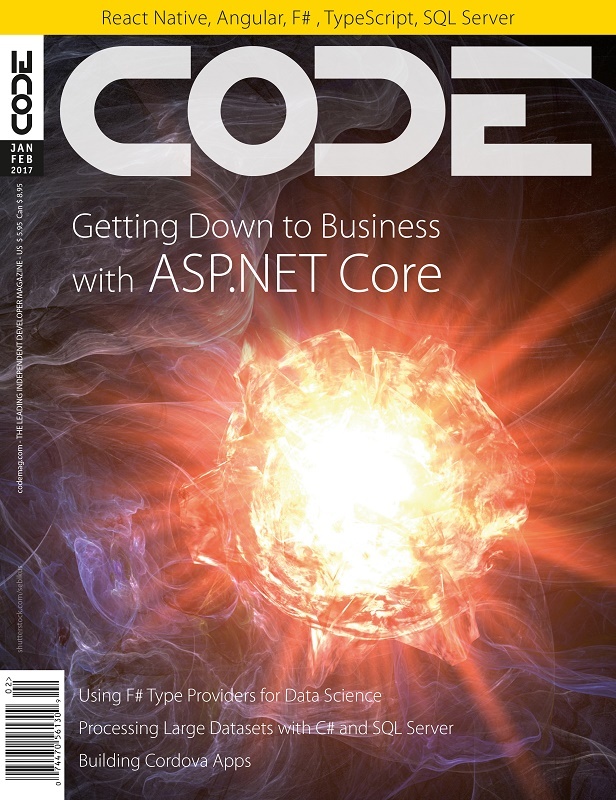 This CODE magazine article focuses entirely on the ASP.NET back end portion of the application and describes how to set up a new ASP.NET Core project, separate business and Web logic into separate projects. As with the last article the pace is such that I start at the very beginning with the basics and then build up from there. You'll see how to build up an entity model to return your data, deal with Entity Framework 7's different and more limiting features in a business object, and much more. I start with simple query results, go into more complex queries and updates that require more than a simple update. In short - the typical things you run into when you build a real world application. While the sample is fairly simple, it does highlight many real world issues that you run into. At the end I also demonstrate how to switch the database engine - I start with SQL Server and then switch to SqLite - and then move the entire application as is to a Mac and run the ASP.NET server without changes from there. All in all this article covers a wide swath of features that you are very likely to deal with in even the simplest applications. Check it out - I hope it'll be interesting and or useful to you in picking up ASP.NET Core. A timely article for me, working on my first Asp.NET Core app. Good stuff Rick. Curious whether you'd recommend for/against attempting to use this same architecture (.Net Core EF/API/Angular) with one exception: tying into an existing and much more complex MSSQL database with hundreds of stored procedures? Thanks! Great article. Was wondering when we can expect the next article featuring the Angular 2.0 front end discussion? Working on it now. It missed the current issue but we're shooting for the next one.